Dr. Rush Patel practices general urology with a focus on prostate cancer. He specializes in robotic surgery, radiation, as well as non-invasive HIFU treatment for localized prostate cancer. Dr. Patel has been performing HIFU for over nine years and currently serves as the HIFU Program Director for Central Ohio Urology Group in Columbus, Ohio. He is one of only a few physicians in Ohio to offer HIFU for prostate cancer. 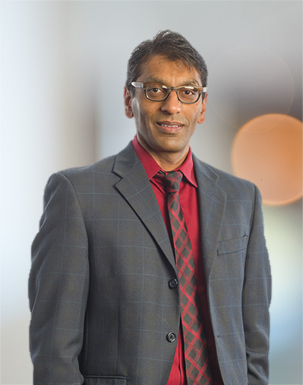 Dr Patel has been practicing urology for over 15 years and is certified by the American Board of Urology. After graduating with a Bachelor of Science degree from Ohio State University, he received his medical doctorate from University of Cincinnati Medical School. Dr Patel completed his General Surgery Internship and Urology Residency at Case Western Reserve University Medical Center. Dr Patel is currently in private practice at Central Ohio Urology Group, the largest urology practice in Columbus, OH. He is fluent in English, Hindi and Gujarati. 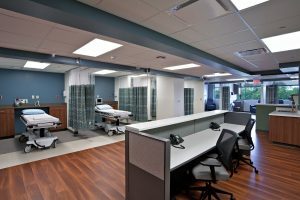 Central Ohio Urology Group is one of the premier urology groups in the Midwest and a top tier provider of urologic services throughout mid state Ohio. With 30 healthcare professionals in their network and over 22 locations, they are able to deliver the highest quality treatment in an ethical and compassionate state-of-the-art environment. Learn more at http://www.centralohiourology.com. Where is HIFU Available with Dr. Patel? Physicians at Central Ohio Urology Group, including Dr. Patel, perform HIFU at their Central Ohio Urology Surgery Center, an AAAASF accredited outpatient facility offering procedures to adults of Franklin and surrounding counties in Ohio. The surgery center performs numerous urological outpatient procedures including but not limited to: prostate biopsies including fusion biopsies, vasectomies, cystoscopies, lithotripsies, urolifts, HIFU, Green Light Laser and circumcisions. They specialize only in urologic procedures which gives them an advantage over other facilities because they can provide patients with up-to-date treatment options from the most common, to the most complex and up-to-date technological urological individual treatment plans.